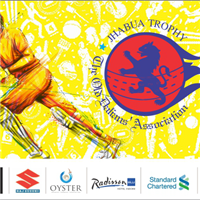 Jhabua Trophy Cricket Premier League Tournament will start on Thursday December 20, 2018 at the Scindia Ground, DC. ODA AGM is today December 9, 2018; 11:30 am at DBA Auditorium. 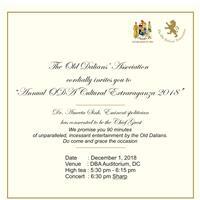 ODA Annual Dinner will be held on Saturday December 8, 2018; 8:00 pm at Desai Lake, DC. Annual APG week at Daly College and ODA week.